When you move to a new house, check the door locks first. Check the window locks, too. Our experts recommend lock replacement if the locks are old or pretty damaged. 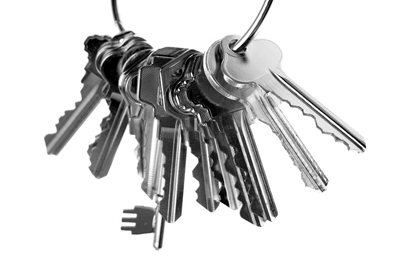 If they're relatively new, you can compromise with lock rekey to ensure security. Lock rekey is the perfect solution when you don't want to replace the entire lock but still need a brand new key. It will help you start over in terms of security precautions and know that you are the only one possessing your key. It is possible to fit your own door lock. However, our experts advise against doing this as fitting the door lock properly takes a lot of work and knowledge. It is best to leave it to the professionals as they can do the job more efficiently and effectively. Mass-produced locks that are available at your local DIY or hardware store can easily be picked or bumped. When it comes to protecting yourself and your possessions, don’t take shortcuts. Spend a little extra money fitting your exterior doors with high-security anti-bump locks that are supplied by a locksmith, and have them installed professionally too.